I saw a story on Digg that was a spoof on an iPhone commercial. The guy talked about spending $600 for the first model, then having the price get lowered by $200 in almost no time (no mention of the $100 store credit that Apple gave all those customers, by the way). Then shelling out another $199 for the new iPhone 3G with a more expensive data plan. I didn’t personally get a new phone, but I know of a couple of people that did. “I’ll re-state what many other clear-minded people here have stated before: You don’t HAVE to buy the phone. Don’t like the prices? Go find another phone/carrier. I couldn’t agree with this person more. Nobody is forcing anyone to stand in lines for hours. Nobody is forcing anyone to spend another $199 plus service charges. People are CHOOSING to do so. By the hundreds of thousands. So let me ask you this. 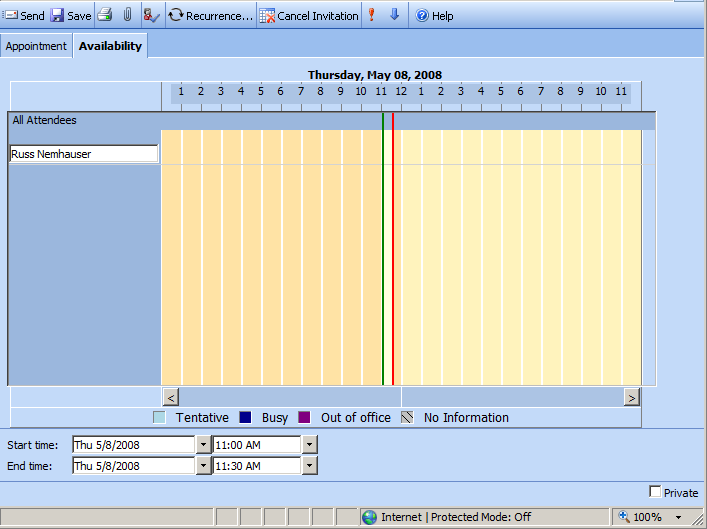 How am I supposed to add new people to this meeting in Outlook Web Access running on IE7? Vista’s telling me that no items matched my search (when, in fact, there are actually items that match what I was searching for, but hey – whadaya gonna do). 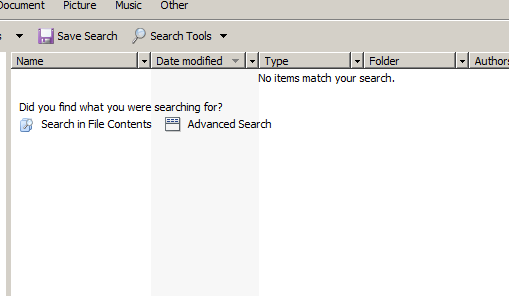 Well if no items matched my search, why does Vista ask me if I found what I was looking for? Wouldn’t a better message be “Because Vista could not find any items matching your search, please choose from the following two options: (search within file contents and advanced, as shown below). Search in file contents? Why the hell didn’t Vista do that when I clicked Start and then put my search string in the “Start Search” textbox on the start menu? I mean, what did Vista think I wanted to search? Just file names? How Windows 95-esque. “Advanced” search? Why do I have to do an advanced search to find a simple file that is stored in plain ASCII text in a non-system folder? I should add that it took Vista TWO MINUTES to complete the search where it didn’t even find what it should have found. I just got this brand new machine here at work on Friday. So the hard drive has very little spaced used on it in relation to its 150 GB size. This is just an absolutely terrible implementation of [not] finding things on one’s computer. Rubbish. It’s like Microsoft made no progress at all on this in the past 10 years, and that’s a LONG time in the computer industry. If I have a photo that is of higher resolution than my monitor, why is Vista too stupid to scale it down proportionally so I can see it as my desktop background without it being distorted? Doesn’t it seem that something this trivial would have made it in to a product that took more than five years to create? 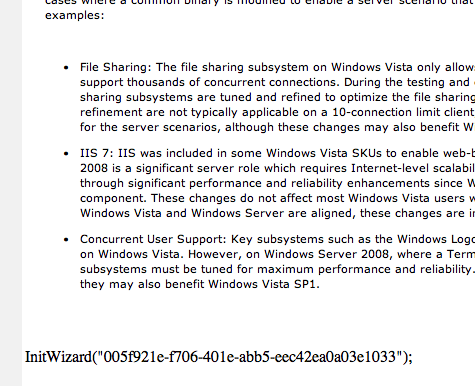 Even the page which documents well over 100 of just the “notable” updates in Vista SP1 has a bug in it.